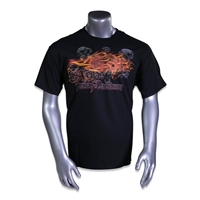 Whether you're out on the town for a night with friends and family, or looking to kick back and relax, we have men's Harley Davidson t-shirts for just the thing. 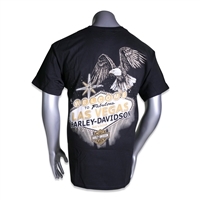 Comfortable, rugged, and most importantly, awesome looking, our selection of authentic Harley shirts is sure to have something for everyone with a love of all things Harley. 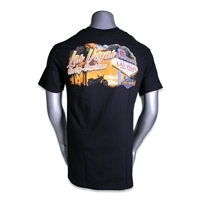 These Las Vegas inspired shirts give you a taste of the crazy excitement of the city, and a unique individual look that HD is respected for. 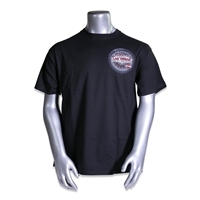 Cruise on your hog wearing one of our Harley-Davidson men's t-shirts and rest easy knowing you and your bike look great. 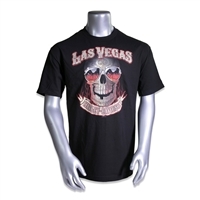 LVHD carries Harley shirts for men in various styles and colors. Whether it's the weekend or a workday, the high-quality cotton and stitching will complement any look. Feel relaxed in any of our lightweight shirts in summer and winter. 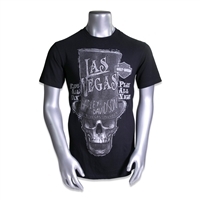 Our Harley Davidson t-shirts for men feature logos that are varied for your individual taste, and range in sizes from Medium to 5X-Large. 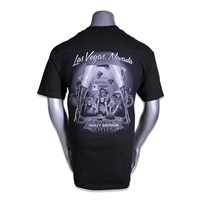 Shop our online store for men's Las Vegas Harley wear and receive exceptional customer service alongside unbeatable products. Our gear is tough, built to last, and looks sweet. Contact us at (888) 218-0744 with any questions, and we will respond as soon as possible.